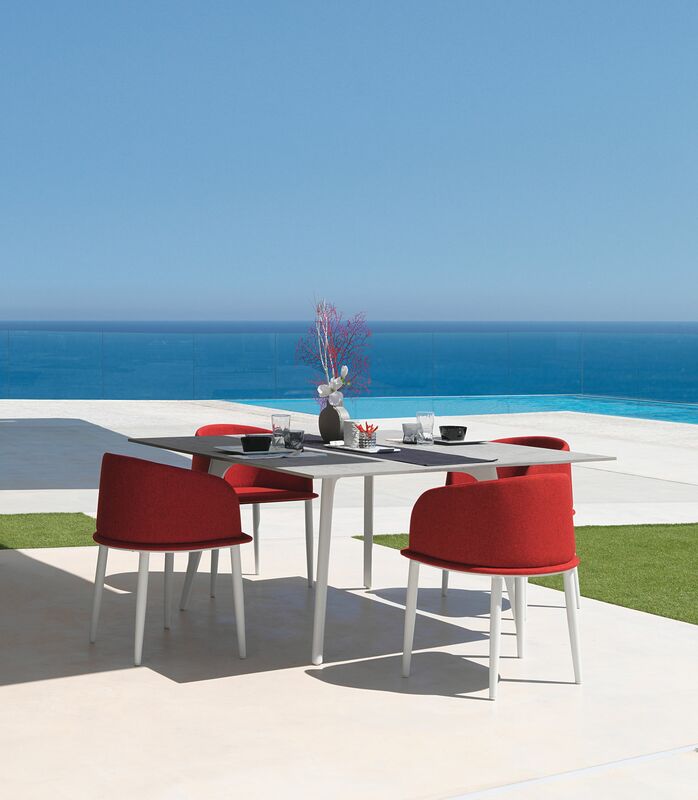 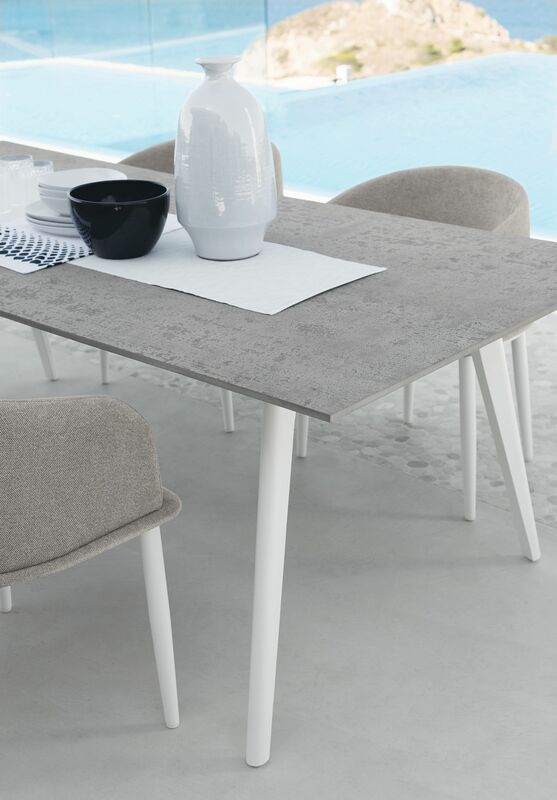 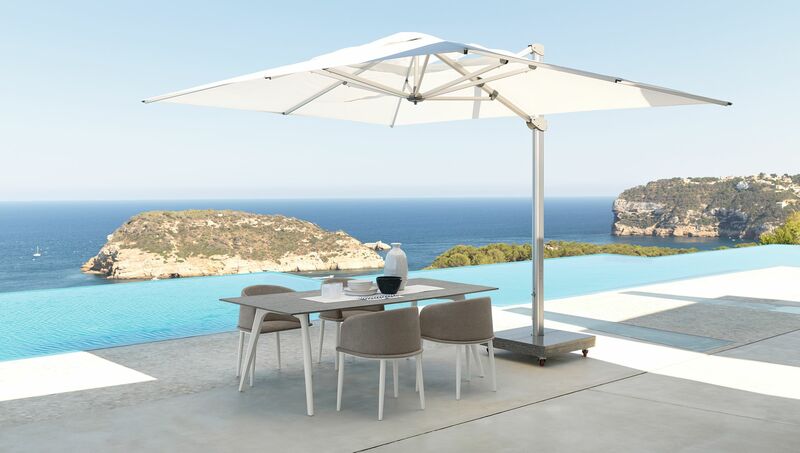 The 220×100 dining table of the CleoAlu outdoor collection is round, higher than the other tables of the same line and has a smaller diameter. 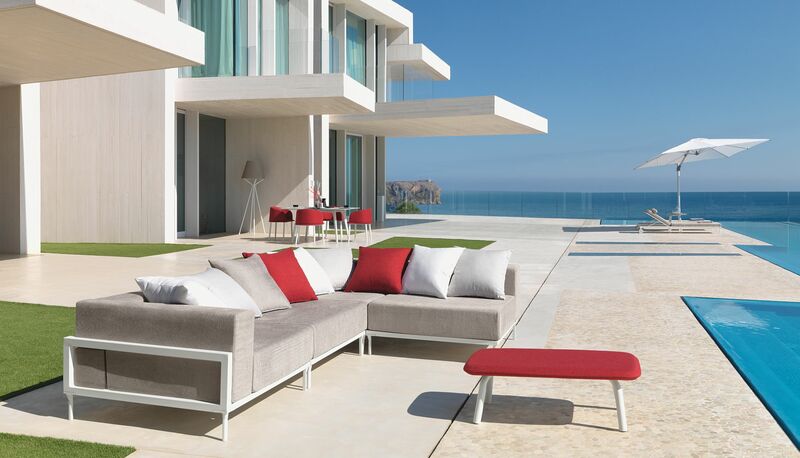 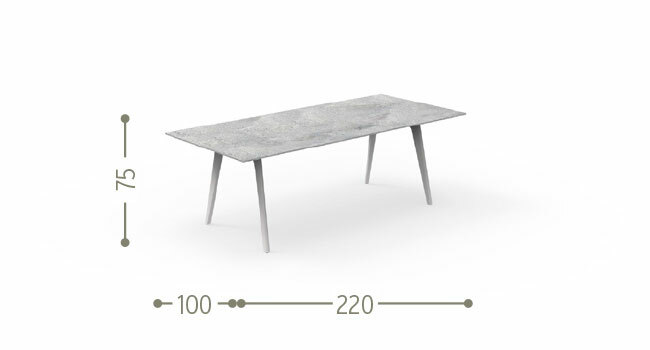 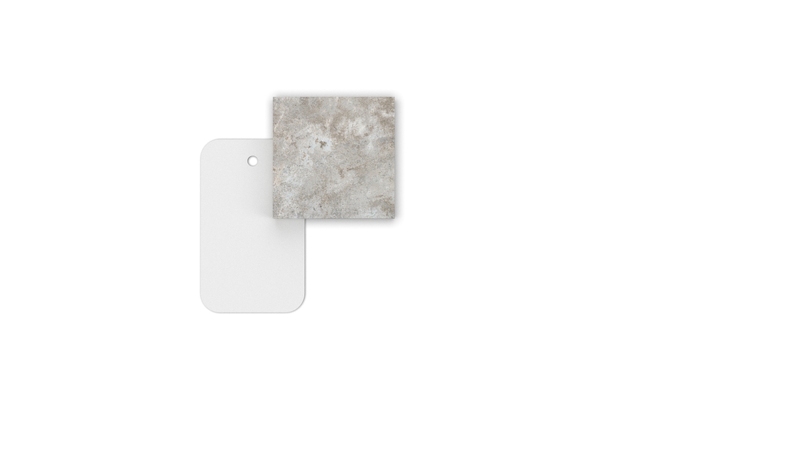 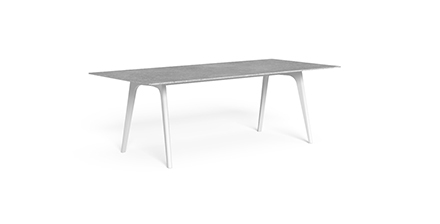 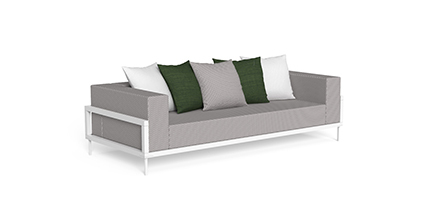 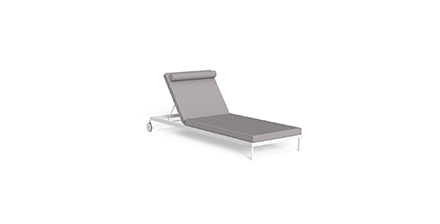 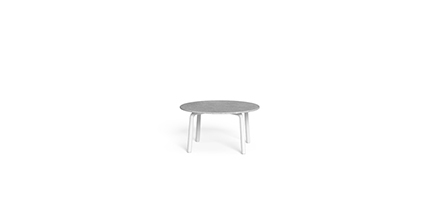 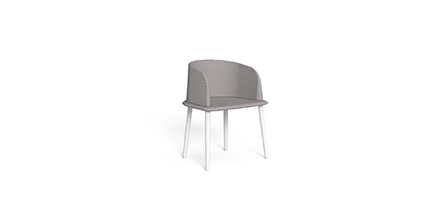 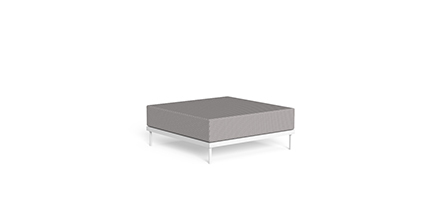 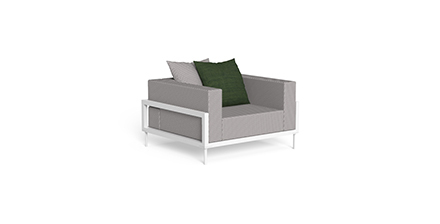 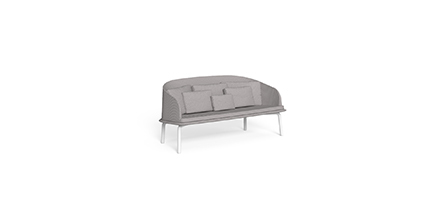 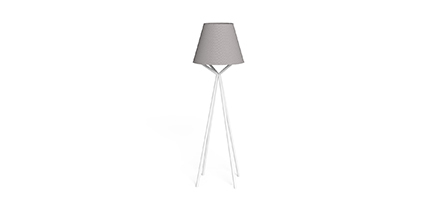 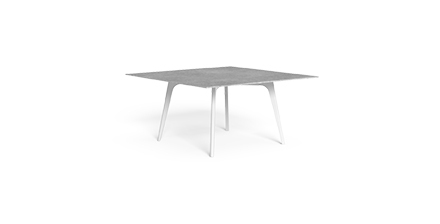 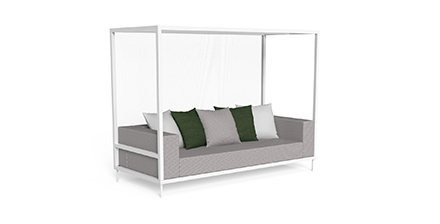 It has a powder-coated aluminium structure and offers different tops according to the colour of the structure: 12mm light grey fibre cement in the white version, 12mm dark grey fiber cement in the graphite version. 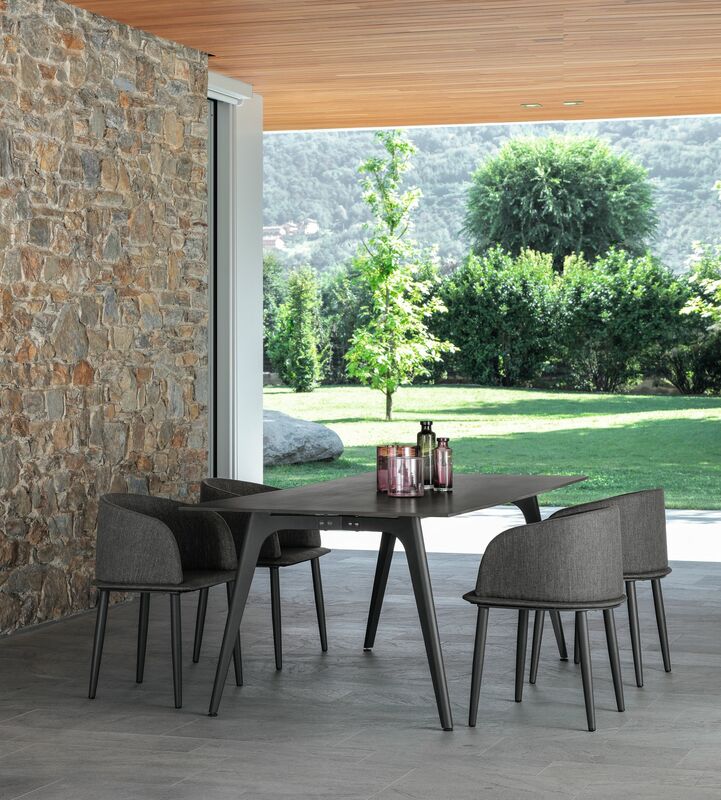 The combination with accommodating and rounded chairs creates elegant contrasts of shapes that evoke calm, elegance and simplicity. 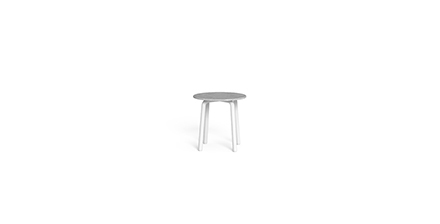 The table seats 8 people.